Many consider Rang Mahal the best Indian restaurant in Bangkok because of its combination of delicious tandoori meats, excellent service, and pleasant setting at the top of the Rembrandt Hotel. The upscale dining rooms and formally-dressed wait staff make this a great choice for special dinners. A young, hip crowd, chic and funky dining rooms, and live music make Indus feel more like a club than a restaurant. If you’re not in the mood to party, don’t be put off, as there are plenty of quiet places to dine in the large mid-century house-turned-restaurant. The menu has a little of everything, including some Thai and some Mediterranean dishes, but it’s the Kashmiri food that really shines. For nearly 40 years, Mrs. Balbir’s has been a Bangkok institution, and the restaurant is so well-respected that Mrs. Balbir even helped Thai Airways design Indian dishes to serve on their flights. Luckily you don’t have to fly from Bangkok to New Delhi to enjoy her cuisine! 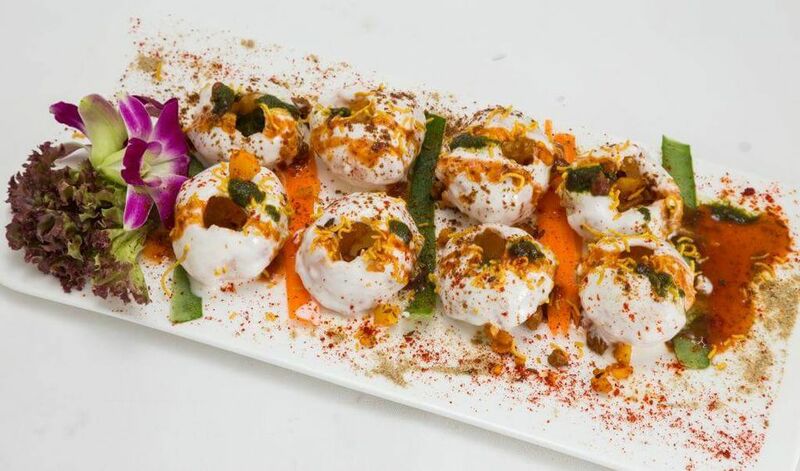 The newly upgraded restaurant has a large menu of vegetarian and non-vegetarian Punjabi dishes. If you’re interested in learning more about Little India, she also offers a semi-regular tour on the last Sunday of the month, ending with a meal at the restaurant. This all-vegetarian restaurant just off Sukhumvit Soi 11 has perhaps the best dosas in all of Thailand. The thin crepes made from lentil and rice batter are just the right balance of chewy and crispy. Their masala dosa, a dosa stuffed with seasoned potatoes and onions, is a menu favorite, but they also serve plenty of other dishes. The restaurant is completely dry, so quench your thirst with one of their lassis or fruit juices instead of beer or wine. Indian Hut looks like a Pizza Hut from the outside but, aside from the misappropriated logo, the restaurant is nothing like a chain takeout joint. The comfortable restaurant is often filled with local Thai-Indians enjoying their tandoori meats and vegetables, but if you want to try something you don't often find outside of India, order from the Indian-Chinese menu! There is also a selection of Jain dishes (vegetarian, without garlic or onions).